Home / Automotive / Business / cars / Lifestyle / Suzuki APV / Technology / Travel / Will Suzuki’s APV Multipurpose Van Win the Filipino Hearts? Will Suzuki’s APV Multipurpose Van Win the Filipino Hearts? With the rising fuel prices and things becoming more and more compact, there are times when you need that little extra room in your life. Although the country’s favorite segment sedan offer adequate room for a small sized family, it does no good when you have more members to travel with. 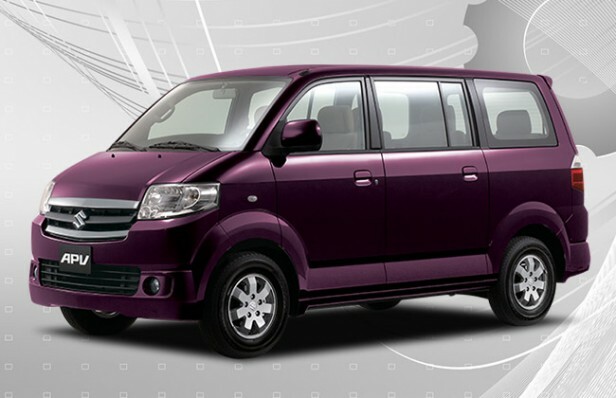 MPV sales in the country are certainly not as plentiful as they are in the neighbouring Indonesia due to the prominence of larger families there. But that doesn’t mean MPVs cannot be seen on the Philippine roads as there are plenty of MPV options to choose from. While one can find plenty of models in the market, their affordability is always inversely proportional to the amount of luxury and fuel economy they offer. The market leader is surely the Toyota Innova, but Suzuki’s APV minivan certainly provides a great option for the average Philippine buyer. Let us take a close look at what it has to offer to the Filipinos. 1. Plenty of Interior SpaceShopping excursions, family outings or adventure trips can often involve fewer people and more luggage. Although the boot space in your average sedan can solve the purpose it cannot fit half the amount of luggage as the Suzuki APV. With a total of 714 liters of boot space with the rear seats folded, you can actually fit a baby elephant inside this vehicle. Don’t believe us? Ask the Thais. The Suzuki APV is not only more affordable than the others in its class, but its powerful drivetrain also provides an enjoyable drive. The vehicle is equipped with a 1.6-litre engine that produces nearly 91 hp with a torque of 127 Nm that provides tonnes of pulling power. Hence even if the vehicle is filled to the brim, its drivetrain ensures an effortless ride. It comes with a choice between a 5-speed manual and 4-speed automatic transmission. Like already mentioned, comfort and luxury inside a vehicle are inversely proportional to its price. But the Suzuki APV aims to change this notion through some of the most comfortable seating options inside the vehicle. There’s plenty of head and legroom, thanks to the boxy and large exteriors. Adding to the comfort, the 2nd row seats can be folded in a manner that you can fully recline on the 3rd row seats. This is certainly a great car for their ‘lounge vehicle’ projects. With such a powerful engine and heavy body, there might be some doubts about the APV fuel consumption. Even though they enjoy a moderate success in the Philippine market, there’s no doubt that Suzuki makes some of the most fuel-efficient engines for production vehicles. The manufacturer claims a combined fuel economy of around 14-15 kmpl with the APV, that is a neat figure considering its 1.6-litre drivetrain. The Suzuki APV might not have been able to beat the market leader Innova in the Indonesian market where such vehicles enjoy a high demand. In the Philippines as well, it has not done well so far in terms of sales as only 376 units have been delivered to the customers from January 2016 to April 2016 while encountering 6% decrease in overall sales. However we can hope good for the vehicle in the country provided the number of competitors remain limited.